This is the ninth coin in the very popular Australian Lunar Series II collection. 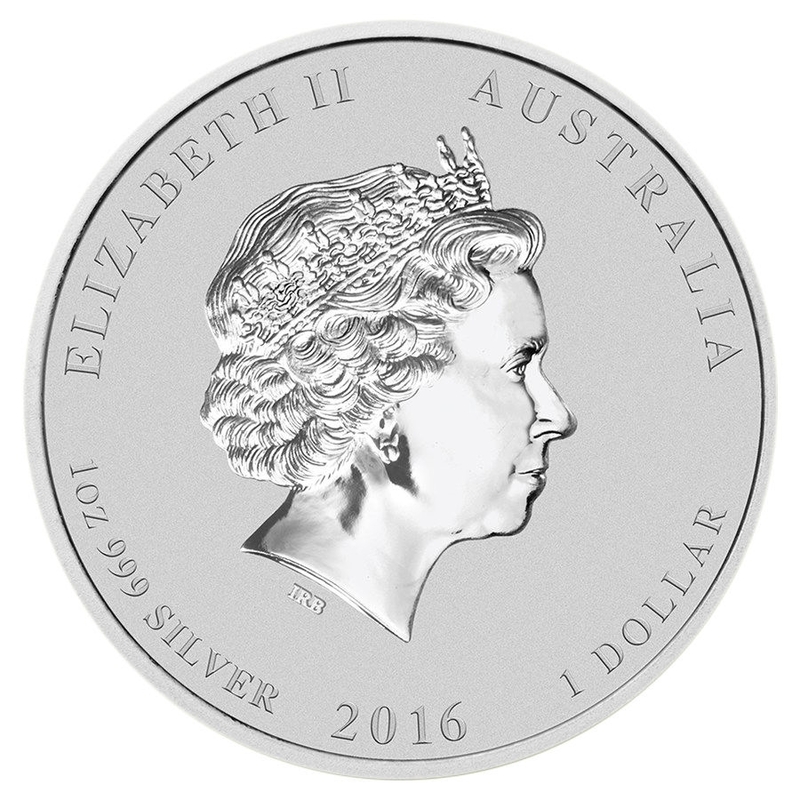 Each coin is struck in .9999 fine silver and is legal tender under the Australian Currency Act of 1965. 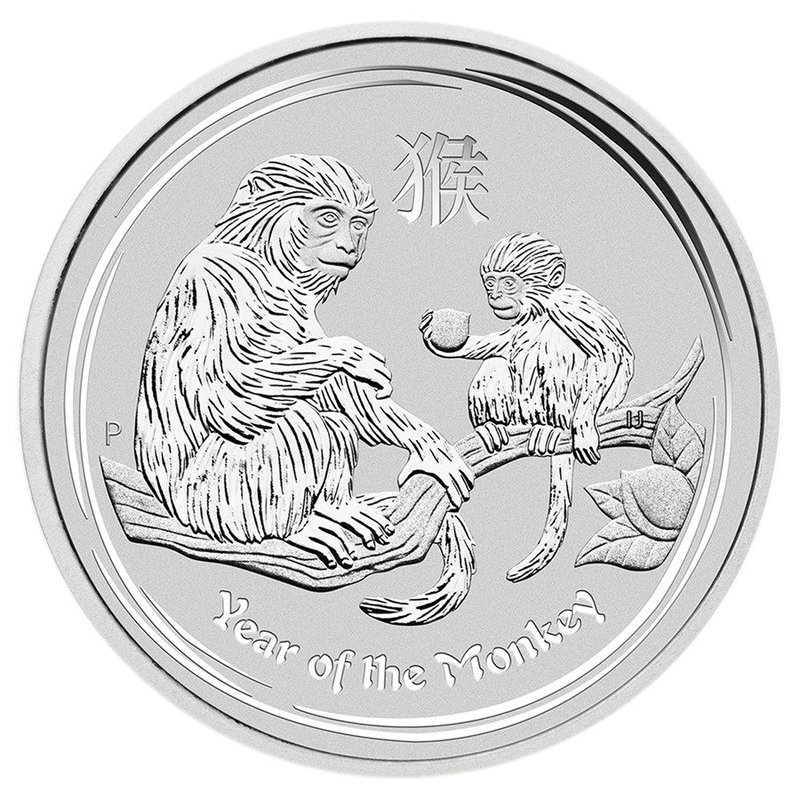 The reverse of this beautiful coin depicts an adult monkey with a baby monkey holding a peach, symbolic of longevity and immortality. The obverse depicts the Ian Rank-Broadley effigy of Her Majesty Queen Elizabeth II. Each coin will come sealed in its original mint capsule and a 2 1/2 x 2 1/2 plastic flip for protection. According to the Chinese Lunar Calendar, those born in the Year of the Money - 1920, 1932, 1944, 1956, 1968, 1980, 1992, 2004, and 2016 are under the influence of this sign are said to be intelligent, quick-witted, opmistic, ambitious, and adventurous.